Amanda worked for CommVest Realty Ltd. / Quality Property Management for eight years before taking time off to attain a Business Administration Degree at the Grande Prairie Regional College. There she took a number of Bachelor of Arts courses specializing in accounting and marketing. She was the owner of Merle Norman Cosmetics and InSPArations Day Spa Ltd. for over 11 years. She received Merle Norman’s highest honor of Gold Medallion status for ‘Service, Quality, Excellence’ in 2002-2012. In 2011 she had one of the top 10 studios out of all Merle Norman Cosmetic studios in Canada, Behrain, Guatemala, Hong Kong, Taiwan, and United Arab Emirates. In 2009 she was nominated for Royal Bank of Canada’s - Canadian Women Entrepreneur of the year award. Amanda has been involved supporting several not for profit groups. Including: PineRidge Adventure Camp Committee Grande Prairie, board of directors of the Grande Prairie Church of Christ and Inspired By Vision. 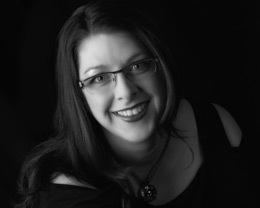 In June 2005 Amanda became a Commercial Realtor with the Grande Prairie Real Estate Board. She chose the commercial field exclusively as she enjoys Helping People Achieve, Their Financial Dreams, Through Commercial Real Estate. In March 2011 Amanda completed the Certified Property Management Program with the Alberta Real Estate Association. In May 2013 Amanda became an Associate Broker for CommVest Realty Ltd.
Norma began her career in Real Estate in December 1981. She applied a well tested maxim: "Think big, start small, work hard and never, never quit." Her concept was successful and she soon became the firm's leading producer. After winning two Michael Lukewich Scholarships for career development, Norma achieved her CCIM designation in 1983. In 1996, she earned fourth Top Commercial Realtor for Re/Max in all of Western Canada. This success launched her next career step. In May of 1998, Norma created her own real estate marketing company, CommVest Realty Ltd. She specializes in commercial leasing, sales and consulting. Norma also owns and manages a contract property management business operating under the trade name of Quality Property Management. Norma earned the Re/Max 100% Club Sales award for 1987-1997. In 1993 she qualified for the Re/Max Hall of Fame. She continued to be recognized for her success and in 1994 and 1996 she was the recipient of the Re/Max Platinum award. Norma was elected in 1997 to serve on the Canadian Real Estate Association I.C. &I. Council Board of Directors for a two year term, and was re-elected in 1999 for a further one year term. In 2000, Norma was elected to serve on the Grande Prairie MLS Board and the Grande Prairie Chamber of Commerce Board of Directors. In 2002, she was re-elected to serve on the Chamber board for an additional two years. Participating in the Grande Prairie community is part of Norma's values. In 2001 she served in the Land Use Bylaw working Committee and in 2008 the VLA/Montrose ARD Steering Committee. To contribute to the Real Estate industry Norma volunteered and was appointed to serve on the REIX (Real Estate Insurance Exchange) Advisory Board in 2009 for a two year term. Throughout her career in Real Estate Norma has considered philanthropy key to her success principles. Norma enjoys being a coach to individuals seeking personal financial freedom and giving practical insights to small groups when invited. She is working to create a model for fund development for organizations with noble causes and passion but lacking the necessary funds to achieve their goals. With this in mind she also gives of her time to the organizations about which she is passionate. Norma has been a guest speaker on numerous occasions revealing her success criteria and her dedication to the continuous development of her profession. In June 1996, she was invited to participate in Re/Max Satellite Television’s (Denver, Colorado) one hour interview on “Trends in Commercial Real Estate”. In March of 1991, she was invited to speak at the Re/Max International Convention in Las Vegas.